The Presidential Inauguration will be held in Washington DC January 21 on Martin Luther King Jr Day. The reelection and swearing in of America’s first African-American president 150 years after the Emancipation Proclamation signifies a major step forward for our country. 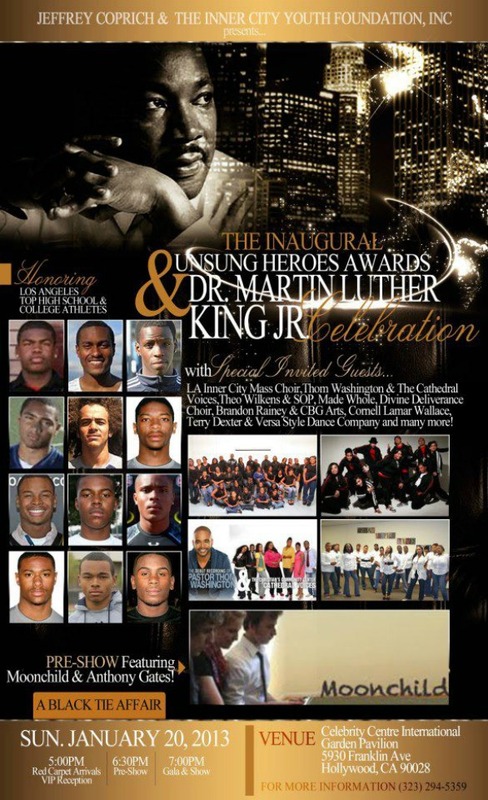 Thanks to Jeffrey Coprich and the Inner City Youth Foundation, the best local student athletes will be honored at the Annual Dr. Martin Luther King Jr. Celebration & Inaugural Unsung Heroes Awards “An Evening of Champions” to be held at Celebrity Centre’s Garden Pavilion in Hollywood. Award recipients will be recognized for their exceptional performance in the classroom, on the field and within the community. Media coverage for the event will be provided by www.collegelevelathletes.com. Founded by former UC Davis wide receiver and kick returner Aaron Plunkett, CLA serves to empower the next generation of student athletes by providing a platform to gain exposure. Student athletes can create a free recruiting profile that provides coaches and recruiters better insight to their talent. CLA is dedicated to helping any athlete interested in competing at the college level. You can follow CLA on Twitter at twitter.com/SportsRecruits or check out their Facebook page: facebook.com/sports.recruit. Several of the student athletes to be honored are committed to big time college football programs. With quality young people like these, faith in the future is simple. If you’re in the Hollywood area Sunday night, come on down to Garden Pavilion to the Unsung Heroes Awards Ceremony and celebrate student athletes every American can be proud of. 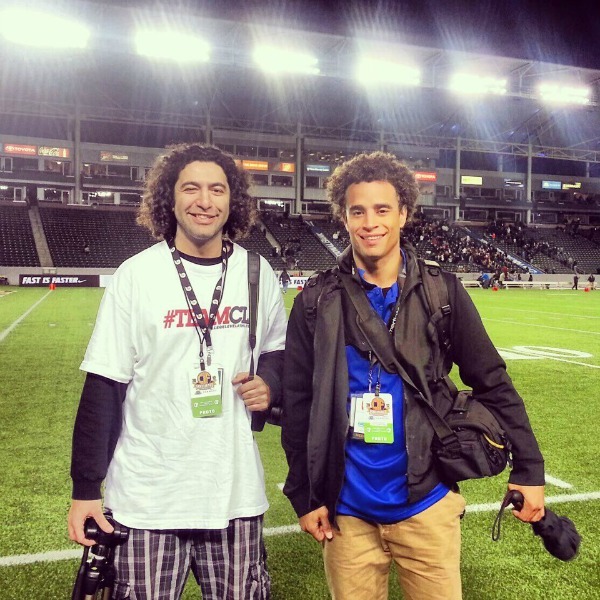 Print article This entry was posted by Danny Dabiri on January 17, 2013 at 11:26 am, and is filed under Sports. Follow any responses to this post through RSS 2.0. Both comments and pings are currently closed.